Fixed-wing unmanned autonomous vehicles (UAVs) with multi-spectral cameras -- like the drone mounted atop the van in this photograph -- are becoming popular tools for researchers who need to gather environmental and ecological data across a vast expanse of terrain.. Credit: Al Rango, U.S. Department of Agricuture/Agricultural Research Center Jornada Experimental Range. Earth and environmental scientists have often had to rely on piloted aircraft and satellites to collect remote sensing data, platforms that have traditionally been controlled by large research organizations or regulatory agencies. Thanks to the increased affordability and dramatic technological advances of drones, or Unmanned Aerial Vehicles (UAVs), however, earth and environmental scientists can now conduct their own long-term high-resolution experiments at a fraction of the cost of using aircraft or satellites. "UAVs are poised to revolutionize remote sensing in the earth and environmental sciences," says Enrique Vivoni, hydrologist and professor at Arizona State University's School of Earth and Space Exploration and Ira A. Fulton Schools of Engineering. "They let individual scientists obtain low-cost repeat imagery at high resolution and tailored to a research team's specific interest area." Vivoni's own research has focused on rangeland locations in the Sonoran and Chihuahuan deserts, which cover large expanses of northern Mexico and the U.S. Southwest. Using UAVs in these areas has allowed for improved studies on land-atmosphere exchanges and vegetation-runoff interactions. 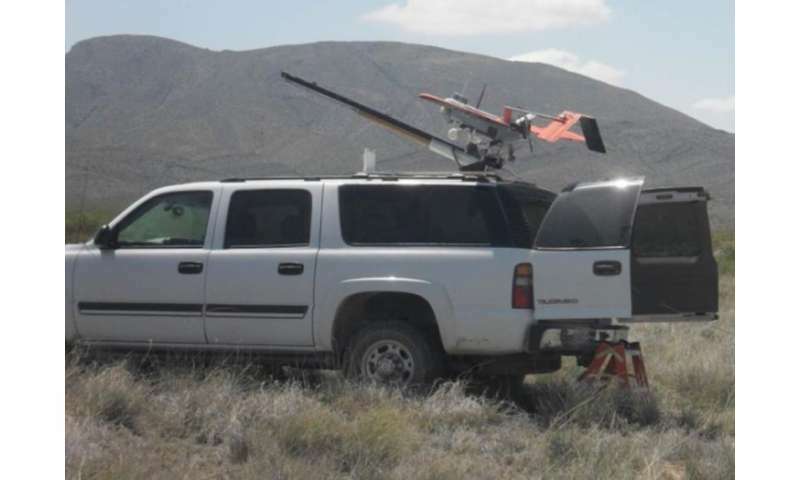 Once used exclusively for military application, UAV's now offer many civilian uses. Their advances in flight control, robotics and miniaturized sensors, are providing an unprecedented opportunity for high-resolution data collection. "The biggest challenge for earth and environmental scientists has been obtaining high-resolution [data for] characterizations and predictions," says Vivoni. Both fixed wing and rotary wing UAVs can be used for ecohydrologic investigations, according to Vivoni. Researchers can also use quad-copters with photo cameras or video cameras, such as the Phantom series. Vivoni will give his talk "Ecohydrology with Unmanned Aerial Vehicles" on February 13 at the American Association for the Advancement of Science (AAAS) 2016 Annual Meeting in Washington, D.C. The presentation summarizes his work with associate professor Srikanth Saripalli of the School of Earth and Space Exploration, graduate students Nicole Pierini, Cody Anderson and Adam Schreiner-McGraw as well as collaborators from the Agriculture Research Service of the U.S. Department of Agriculture Jornada Experimental Range. "We believe unmanned aerial vehicles can fundamentally change how ecological and hydrological science is conducted and offer ways to merge remote sensing, environmental sensor networks and numerical models," Vivoni says.